The representatives of leading Ukrainian and foreign companies point out the revival of business activity in Ukraine. "The economy has been growing for 12 quarters in a row. The representatives of leading Ukrainian and foreign companies point out the revival of business activity in Ukraine. The more stable the situation in the country is, the stronger these trends are," Prime Minister of Ukraine Volodymyr Groysman said at the 15th Dragon Capital's Annual Ukraine Investor Conference in Kyiv, an Ukrinform correspondent reports. As the Prime Minister noted, the country is being changed not only and not so much by the authorities, as by the investment and the responsibility and protection of the interests of citizens. "We have a great potential for development. 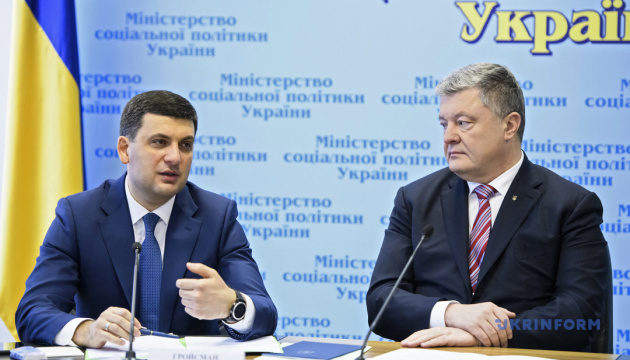 We work together and make Ukraine stronger," the Head of Government added.